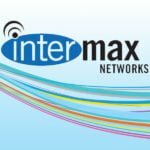 Here at Intermax we have MSP’s. What are MSP’s you ask? They are superheroes! MSP’s handle IT, security, and maintenance for our customers. To top it off, they are there when things are at their worst, helping customers protect their data and recover from outages. Three of Intermax’s superheroes Nicholas, Justan, and Nathan recently attended the SolarWinds MSP #EmpowerMSP’s conference in Scottsdale, Arizona. Two days, and access to more than 20 hours of content across four educational tracks. These three Intermax superheroes learned customer service initiatives, received training on existing products, and learned about additions to SolarWinds software. Where Creativity Abounds, so does Innovation…Tech Innovation to be Precise!